This is the first Mario game that uses an orchestral soundtrack. 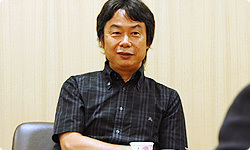 Miyamoto-san, how did you feel about this? There were quite a number of people who were opposed to using an orchestra. But I think they all assumed that I would say no, so they were extremely hesitant about broaching the subject with me. The fact is, I actually felt like asking them “Well, why shouldn’t we use an orchestra?” Since I had felt that instruments like the timpani and strings would be suited to the theme song of Super Mario Galaxy, I had approved this at a fairly early stage. I think everybody was still feeling uneasy however, thinking that I had done something rather drastic, or worried that I would upend things at the very last minute. Hearing all this makes me realise how, as with the design, music is another expression of functionality within a game. By the way, I watched the video shot when the orchestra was recording in the studio. You looked like you were listening extremely attentively to their performance. Before they started performing, I heard that you spoke to the whole orchestra. I talked about some impressive things. When I told them “The Super Mario series sells ten million copies worldwide,” everyone in the orchestra was very surprised! 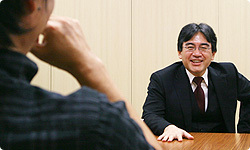 (laughs) And I continued by saying “On top of that, the people who will buy our game will play it over and over again. That means the music that you will be playing today will be listened to more than one hundred million times, so please do your best”. Wouldn’t that be a lot more than 100 million times? You think it would be more? (laughs)When people in the orchestra cheered in excitement, I really felt glad I had gone. So for Super Mario Galaxy, do you have an image of what kind of people will play the game, and in what way they will play? Recently, if a young man has a Wii, they won’t hear those complaints from their girlfriends: “You’re playing video games again? 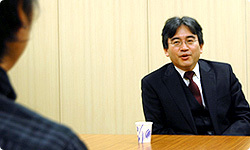 !” (laughs) Even among college students, I think they’re saying things like “He’s got a Wii, let’s get everyone over there and play”. 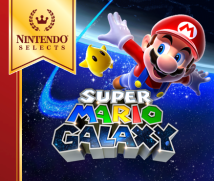 As this kind of development continues, I think people will greet Super Mario Galaxy with a sense of relief. Up to now, there have been a lot of games that were compilations of mini-games, and I think this will be seen as the first title in a long time where you can really sit down and get absorbed in it. In the days of the NES Super Mario, I think video games were played a lot more frequently by a group of people, together in the living room. But as times changed, consoles were more commonly found in the bedroom, and we started to see more games that were only meant to be played by one person. However, as Wii is often set up in the living room; I would love for people to play Super Mario Galaxy in the way video games were played in the past. It is always enjoyable just watching someone else play a well-made game. I touched on how the staff in Tokyo would watch me play, but even though they all said they were just working, I think they were all actually having fun! (laughs) Also, we made the levels shorter and made the bosses appear somewhat earlier than in previous games, so I think the game is now ideal for busy people who are not able to find that much time to play. We also placed checkpoints in the middle of the levels. When you lost a Mario in previous games, you had to start again from all the way back at the beginning of the level. Games have now become 3D, and as the scale of the games has increased, the levels have tended to become longer. I think this is something that has to be reconsidered, but playing the same part over again should actually be fun. As you’re playing the same level again, you become more attached to that level. But by placing checkpoints that makes it easier for the players to move on in the game, I think it results in fewer levels which leave an impression on players. So five years on, if someone were to ask you, “What did you think of that game?” you wouldn’t have a thing to say about it. I want to make games that everyone will remember. The ideal would be to produce a game where the players are repeating the same thing over and over again, but that doesn’t diminish their desire to play the game in the slightest. This is something I find personally, but when I listen to an hour-long classical performance, I only tend to remember its main parts. But if I were listening to Beatles songs, I would remember almost every song. There are certain songs that can make you recall the atmosphere of the place where you heard them for the first time and what was happening at the time. I think games should be able to have the same effect. In that sense, I’m not really in favour of adding more and more checkpoints in a game. But a busy person who wants to relax and play a game for a while just doesn’t have the time to spend 30 minutes trying to get one Power Star! (laughs) So I think that the feeling of distance and space in the game is fairly well-balanced. In fact, I have often heard people at events where they are trying out games saying “This game’s tempo is great!” or “I’m usually no good at platform games, but this is great fun!” So it is possible to get people you wouldn’t normally expect to be into games to like a game and I am hoping that this will be the case with Super Mario Galaxy. Now, if I could please get some final words to wrap up this interview. I wanted to eliminate those elements in the game that made players think “It’s not my fault that I can’t do this” And this has produced a game that feels like it’s worthwhile for the player to take it on. But this isn’t a game where you have to clear every single thing in this game, so you’ll still able to beat Bowser by playing normally. At the same time, we want players to be able to play this game at their own pace, so they can set their own goals like “One Power Star, every time I go home”. And in four months, they will realise that they have collected 120 of them. That would be great! (laughs) As I said earlier, Mario is a game where you can have fun even if you just move him around. You’re able to experience new things you were not able to before. I would really like the people who are good at this game to teach people who are not good at playing video games using the Co-Star mode; I think they’ll be in for an experience like no other. I think it would also be fun to help out your grandad or get your mum to play the game. 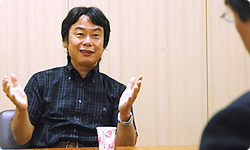 Would the Miyamoto family Wife-o-Meter11 go up again? 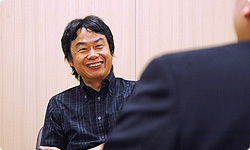 (laughs) 11 The Wife-o-Meter was mentioned during Miyamoto’s speech in this year’s GDC (Game Developers’ Conference) and displayed the interest level his wife had towards video games. The meter showed how her interest level increased with games such as Nintendogs, Animal Crossing and Wii Sports.